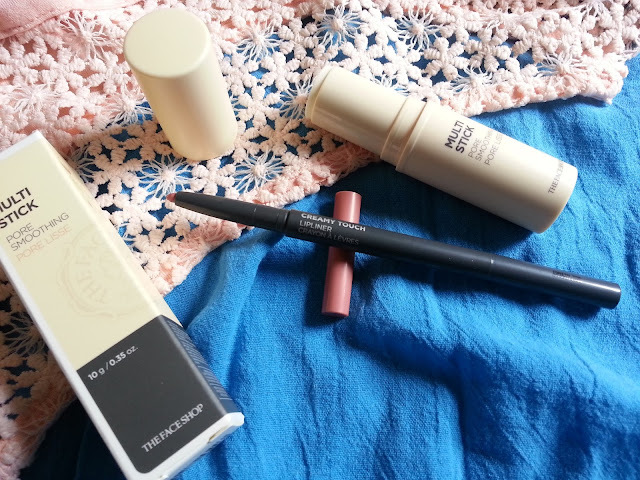 Deidre's Discoveries: TheFaceShop - Makeup Products! I would say that the past year, year and a half, I finally accepted brow products. I never used to fill mine in, and in the distant past, I would just spray some hair spray on a spoolie and keep my brows in place that way. 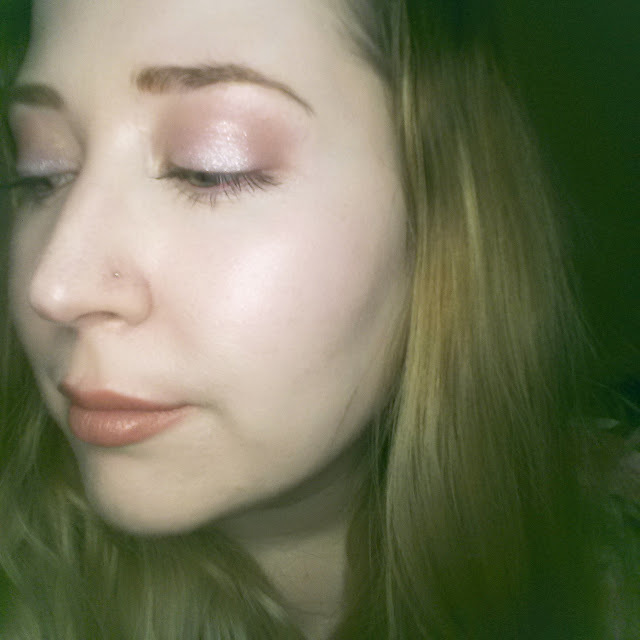 Eventually I discovered brow gel, and I finally realized what I was missing out on. I've seen there are powders, pencils, gel, mascaras, etc. all for your brows. 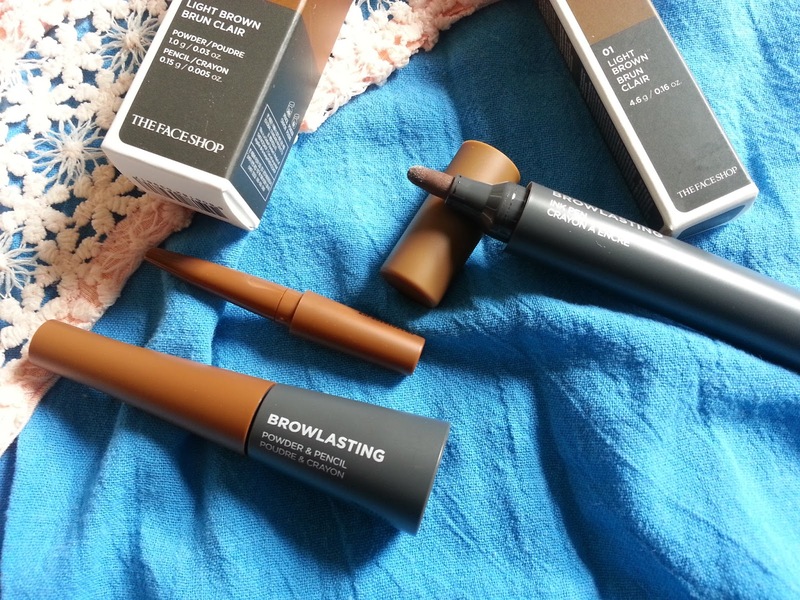 Today I'm going to be trying out two brow products from TheFaceShop! 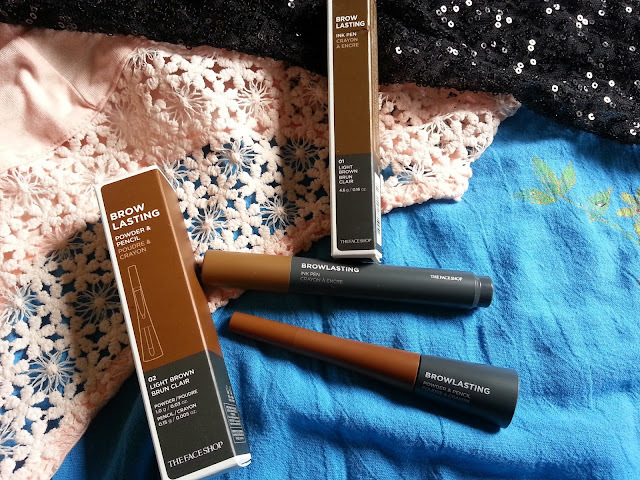 I have two different brow products that I'm putting to the test! This long-lasting, all-in-one eyebrow duo features brow powder for fuller, natural-looking eyebrows and pencil for definition and precision. The power-to-liquid formula sets quickly and dries to a natural-looking powdery finish. The soft, flat pencil gives definition and precision. Draw a desired shape using the pencil, then fill in your brows with the powder. The easy-fit sponge applicator makes application effortless. To fill in, start from the middle of your eyebrow and make the tail darker as you go, blending the edges. Use the remaining powder to lightly fill in the area toward the inner corner for natural look. Fade-proof, super long-lasting formula. The liquid ink delivers budge-proof colour that lasts all day. The chunky marker ensures precise, effortless application. For all-day eyebrow colour, use product as an overnight eyebrow stain. Apply product after cleansing and drying your face. Make sure your eyebrows are free of any skincare product or oil. Draw your desired eyebrow shape and go to bed. For best results, leave on for 6 to 8 hours before washing your face. For use as an eyebrow liner, apply before skincare and makeup products to prevent the felt tip from clogging. If clogging occurs, wipe the tip with a clean tissue. The top swatch is the Browlasting Ink Pen in light brown. Underneath we have the Browlasting Pencil, with a swatch of the powder right below it, also in light brown. On first impression, they look a little too light for my brows, and they seem to have a tad of a reddish tone. On the left, I used Browlasting Powder and Pencil, and on the right I used the Browlasting Ink Pen. 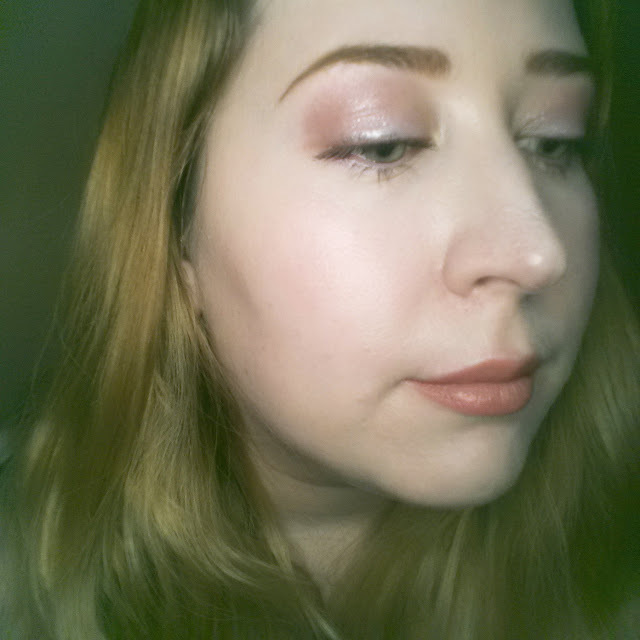 Here's a better look at the Browlasting Powder and Pencil applied to my eyebrow. You can definitely tell that it's not the right shade for me, but I really like how I was able to fill in the tail of my eyebrow ( I think I need to start reaching for a brow pencil more often!) and it just looks more proper. The powder fills in any spots that may look sparse. And the other brow. This is the Browlasting Ink Pen. And I have to say - I didn't like it. It reminded me a lot of a crayola marker. It was fat, and just awkward to try and fill in. A precise tip would make it better. It didn't do a very good job covering the sparse areas either. 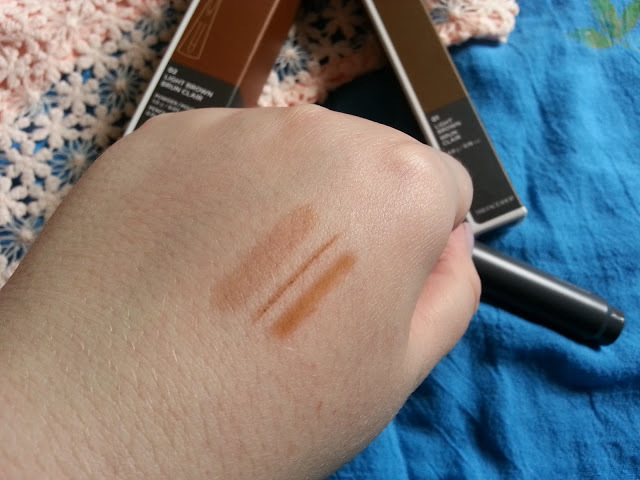 Between the two, I really enjoyed the Browlasting Powder and Pencil - if this was in my proper shade, it is definitely something I would reach for often. Also on my face in the above pictures, I was wearing TheFaceShop - Creamy Touch Lipliner in Beige Garden (BE01) and this Multi Stick - Pore Smoothing. A retractable lip liner with a long-lasting colour and creamy texture to enhance the lip contour. Comes with soft applicator brush. This goes on really smooth and creamy. It feels comfortable on the lips. The colour can also be sheered out, or built up for a more lipstick look. This also goes on really smooth, but I was afraid that if I pulled at it too much, that it would ball up... so I swept it on my nose and cheek area, and patted it in. It mattified the area, and I found that it masked some of the pores in those areas. It wasn't sticky at all, and it applied/dried clear. And definitely seemed more comfortable to me than something like the porefessional or the smashbox photo finish silicone primers. 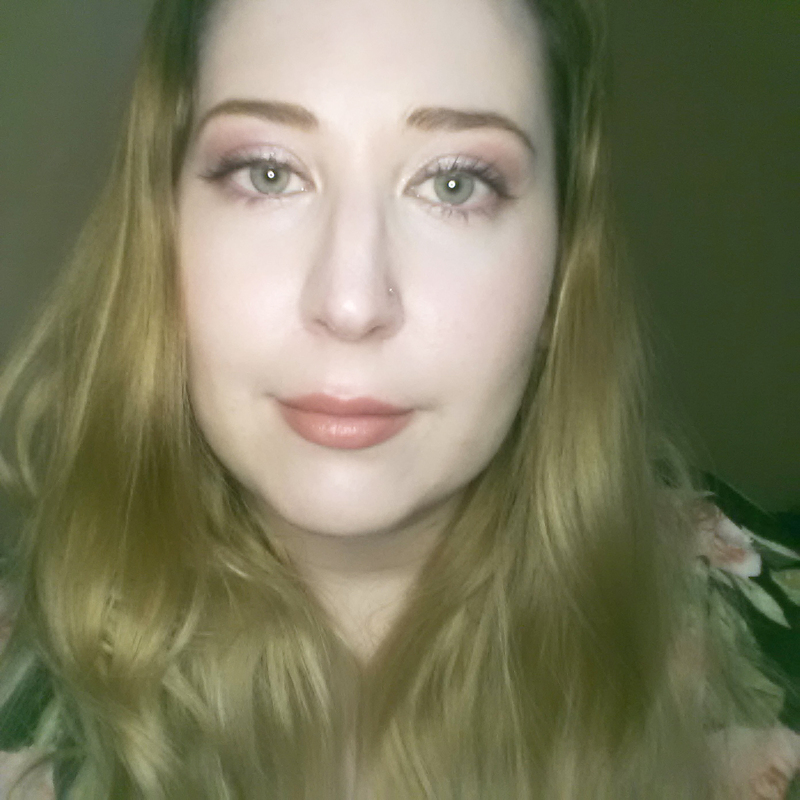 So overall, between the two brow products - I really liked the brow pencil and powder, but just wish it was a little darker! And I will be definitely be getting use out of the lipliner and pore smoothing multi stick!